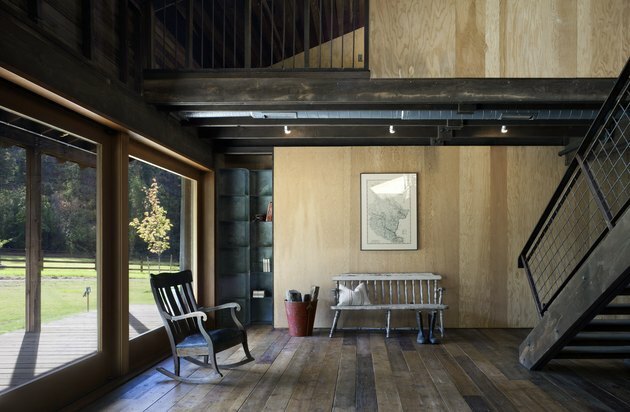 For a young family looking for a departure from city life, a barn on the edge of collapse brought back to life by the design team at Mwworks proved to be the perfect escape. The Seattle-based architecture firm collaborated with Nelleen Berlin Interior Design and Kings Construction to refurbish the deteriorating structure, built at the turn of the 20th century. 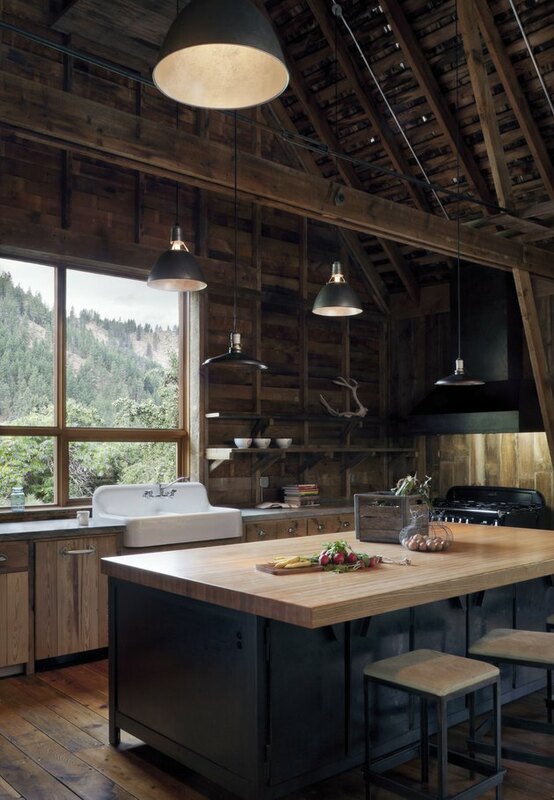 They were able to salvage much of the original barn, including fixtures, doors, and original wood. 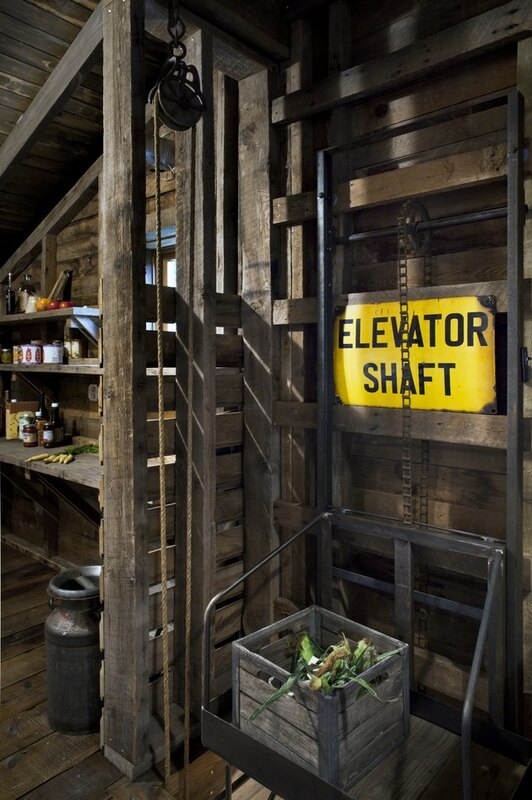 When the team couldn't use original fixtures, they opted for reclaimed wood or they treated new wood with an accelerated weathering process so that the different styles would blend seamlessly. Because of the rural landscape, Mwworks was heavily inspired by the ethos of traditional farms. "All of the team was enamored with the original building and didn't want to lose that character with new interventions. On a farm, the solution is often whatever is expedient and the material is what is at hand. This lends itself to modest solutions and we often came back to that way of thinking when presented with challenges," Architect Eric Walter said. In the distance, other century-old barns and houses surround the farm. 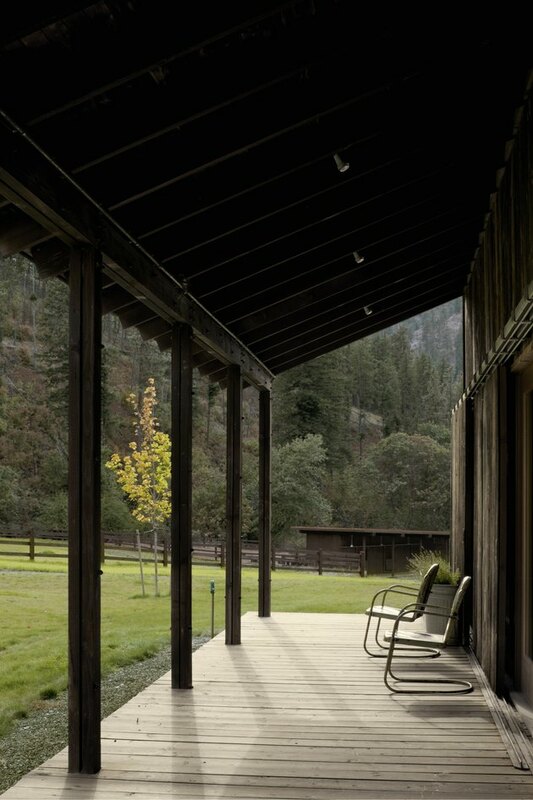 Cedar was used to build out the front porch, which features views of the surrounding land. Chairs sourced by the interior designer provide the perfect way to kick back and enjoy the view. 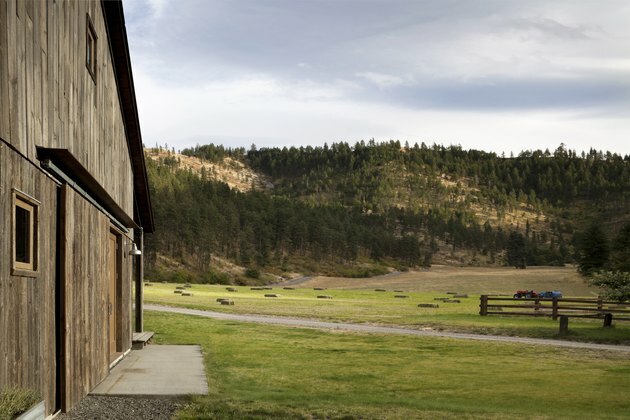 The exterior siding is clad in reclaimed barn wood from Carlson Barnwood. After the structure was reinforced and insulation was added, the team used the original exterior wood for the interior walls. Framed art was sourced from the interior designer. The stairwell was custom-designed by the architectural firm. The three small ceiling lights are industrial-grade Stonco lights. On the verge of collapsing, the team was forced to add insulation and reinforce the structure with steel I-beams. 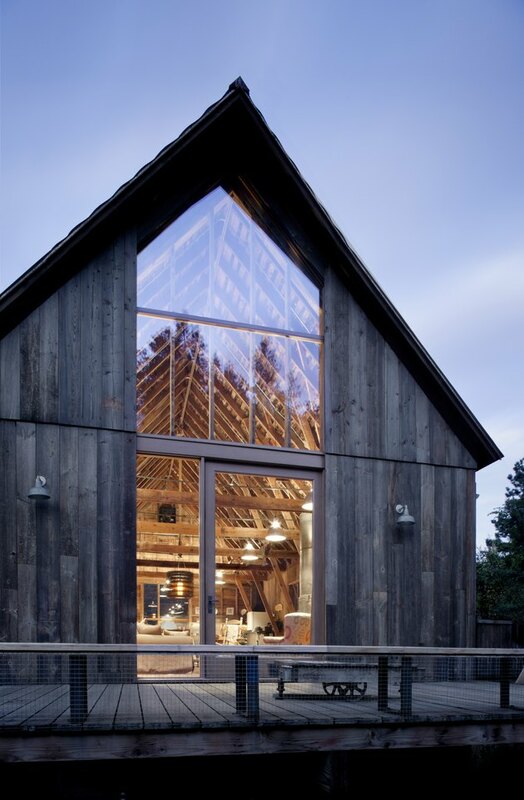 Because of these upgrades, they used the existing aged barnwood for the interior. Ceiling lights from Hi-Lite Manufacturing Co. feature deep galvanized bowls. The bookshelf/cabinet was designed by the architectural firm and fabricated by PJ Cabinets. 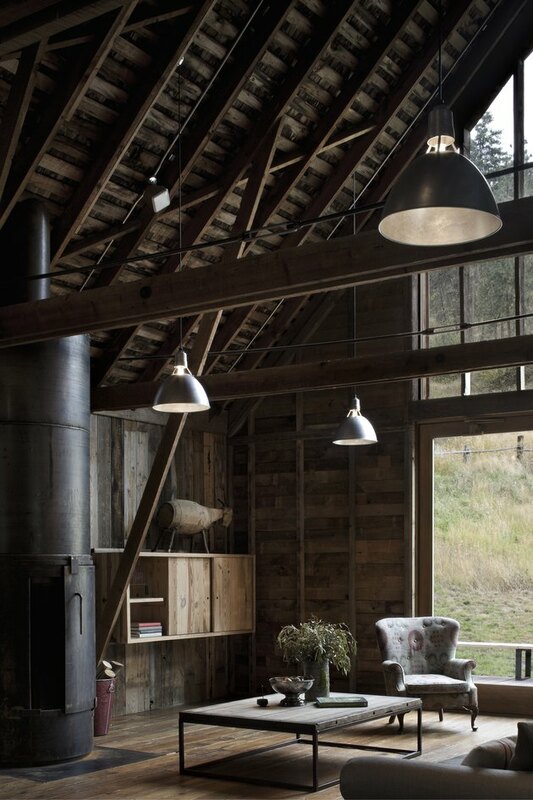 A custom fireplace was made with some salvageable components from farm equipment found on the land. Reclaimed wood from Carlson Barnwood covers the floors on the lower level, while the upper level features the original barn flooring. 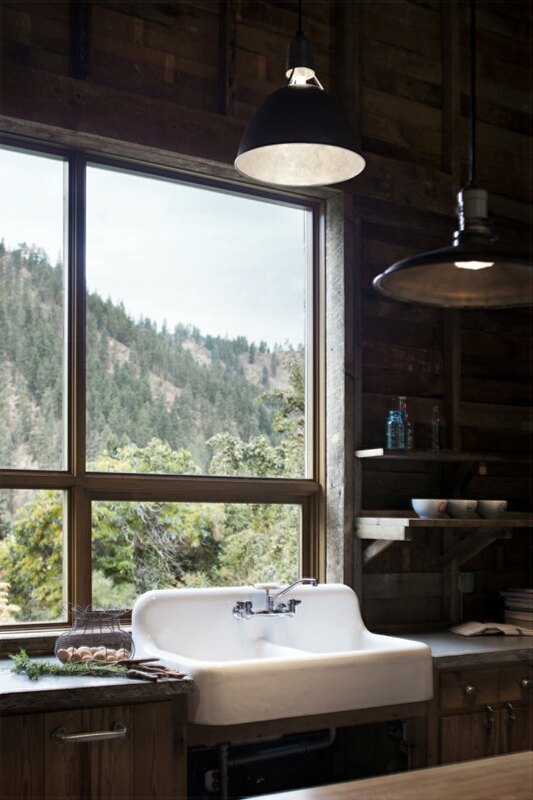 A sink with a vintage feel was sourced by the interior designer. The dark-colored pendant lights were vintage finds. 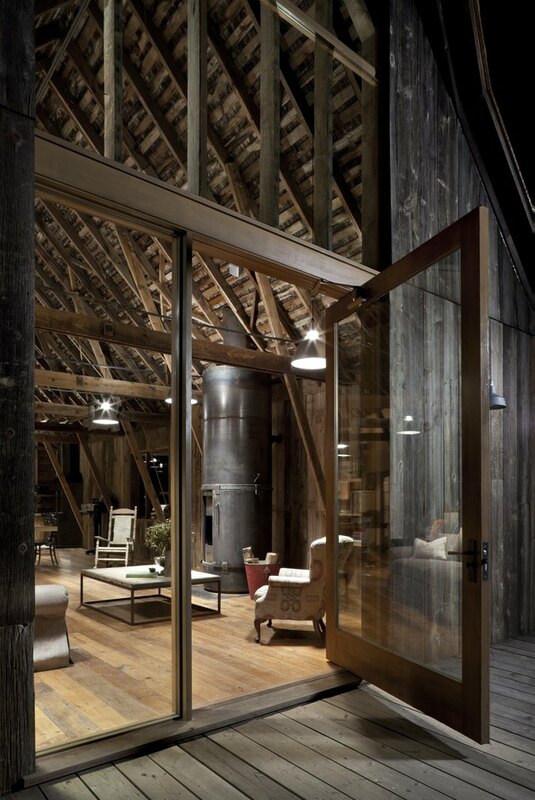 In the interior, original doors, beams, and fixtures were kept to maintain the barn's historical significance. 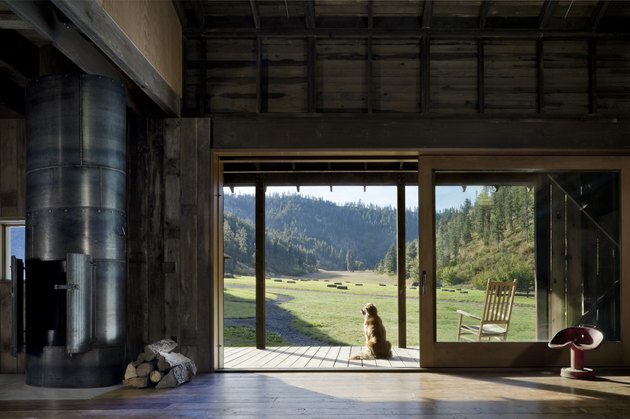 A newly built window gives viewers a look inside to a home that feels up-to-date, but not far from its farming roots.